My tennis pro is always telling me to “get out of my comfort zone.” Um, no thanks! Sometimes being comfortable on court is good, especially if we’re talking shoes! I try on A LOT of shoes for my job and I play A LOT of tennis, and I love sharing the best of the best with you! I’ve picked out some of my favorite comfortable court shoes to wear on court! First up on the list are Serena’s shoe of choice, the Nike Flares! If you’re experiencing any ankle issues, these are the right choice for you! 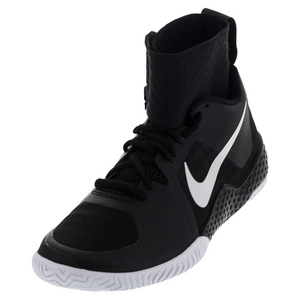 The built in ankle brace is a brilliant innovation for any players that frequently roll ankles on the court. This shoe provides overall stability for fast foot work, but only light cushioning. It also scores high for court traction with a herringbone pattern. 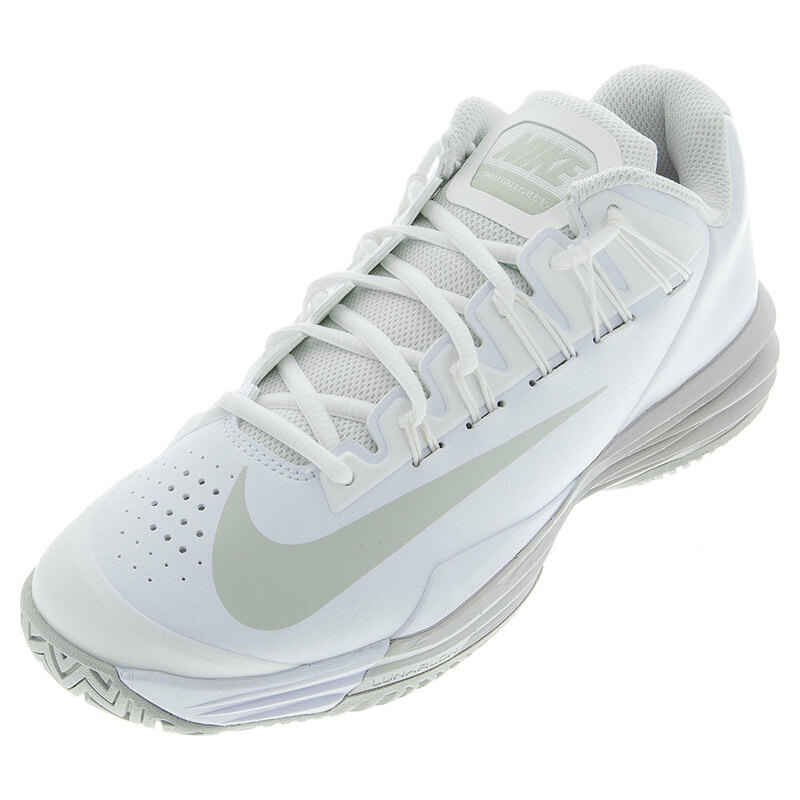 If fashion is just as important to you as comfort, you’ll be happy to know that Nike makes these shoes in a new colorway every time Serena has a new outfit on court – which we know is quite often! Maybe ankle protection is not as important to you as cushion – Nike has you covered with the Lunar Ballistic 1.5. 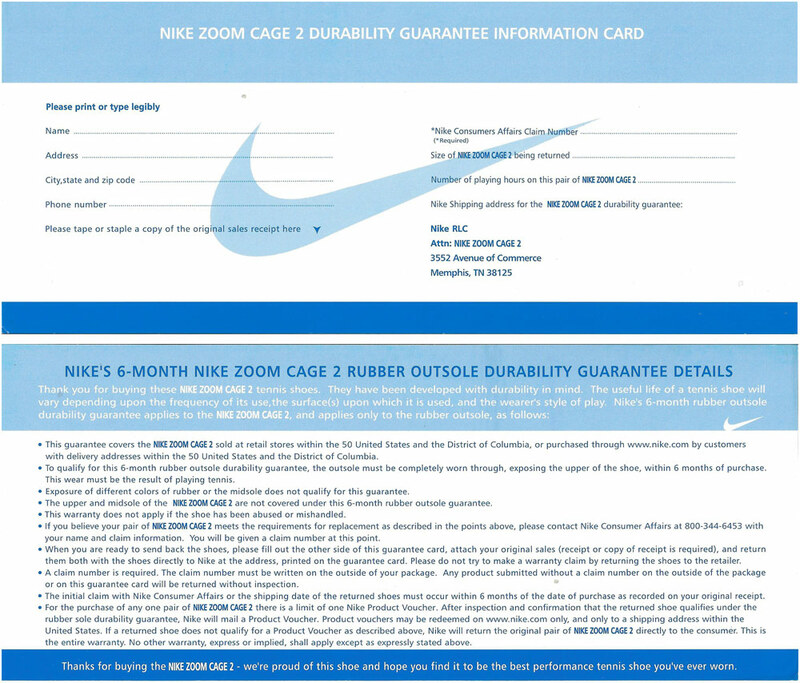 They’ve built this shoe with cushioning all along the underside of your foot, but especially in the heel and ball area. 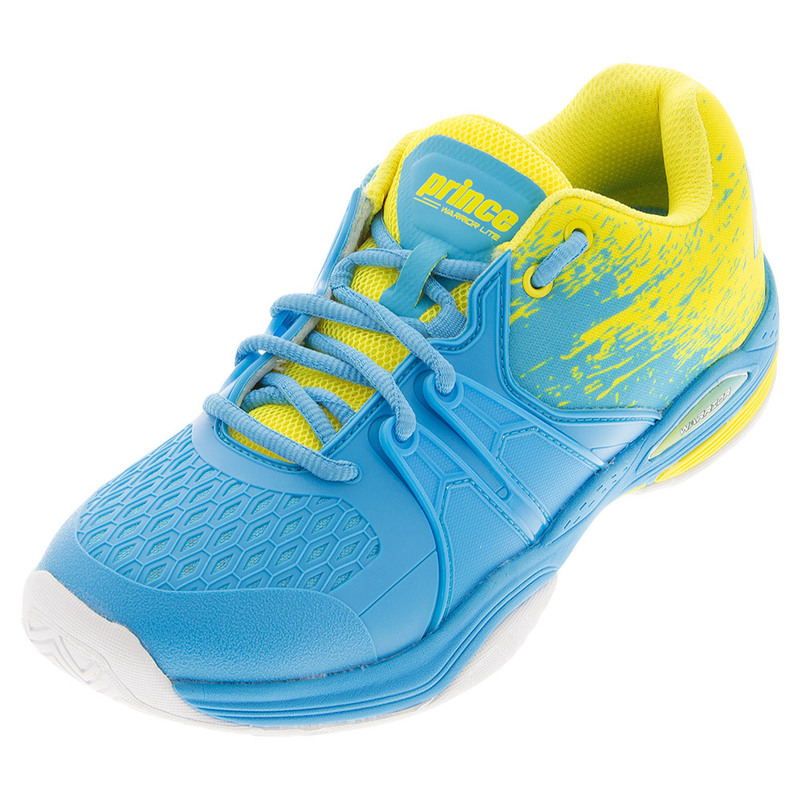 Overpronaters everywhere can rejoice because this shoe has enough support to keep you comfortable on court. The XDR Rubber Outsole is thick enough to last the entire season without worry – in fact, this shoe comes with a 6 month outsole warranty. If you want to feel like your feet are being hugged by Italian shoemakers, then try out the brand Diadora. They offer ultimate comfort with maximum cushion in the heel and metatarsal regions of your foot. 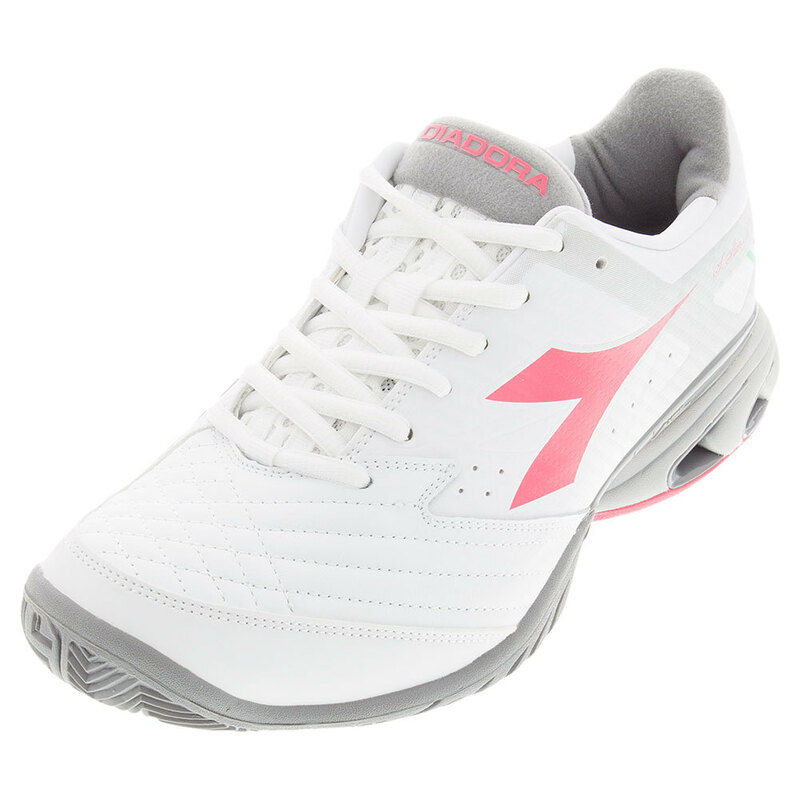 The Diadora Women’s S Star K IV AG shoes have a low profile to keep you connected to the court, yet keeps your foot supported completely! If you struggle with shoe odor, no worries! The antibacterial lining in these shoes keep them feeling fresh long into your season. The super soft Kangaroo leather upper is lightweight, breathable and water resistant! Women’s aSMC Barricade Boost Tennis Shoes are my “go to” shoes, if I know that I will be in my court shoes for a long chunk of my day. adidas constructs these shoes with an internal bootie construction that gives an impressive and comfortable fit. These shoes are designed to hug a woman’s foot and provide stability in lateral movements. You’ll show off your footwork confidently with the sturdy modified herringbone tread on the outsole. Caroline Wozniacki wore these shoes during her deep run at the US Open this year, and you know she likes comfortable shoes – she runs marathons in her spare time! 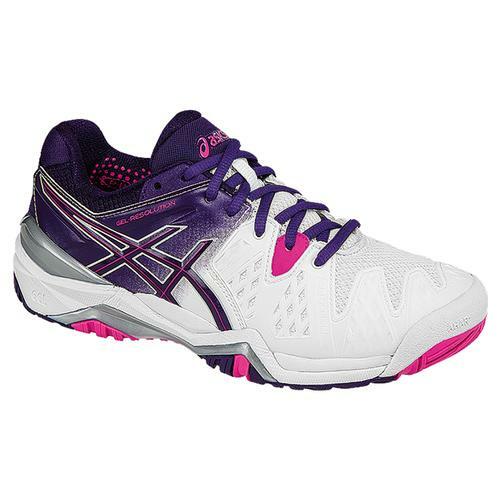 If you are transitioning to tennis from another sport, the Asics Gel Resolution 6 Tennis Shoes will feel like the perfect fit right out of the box. There’s rarely a time I step on court to play that at least one of our foursome is not wearing these popular shoes. 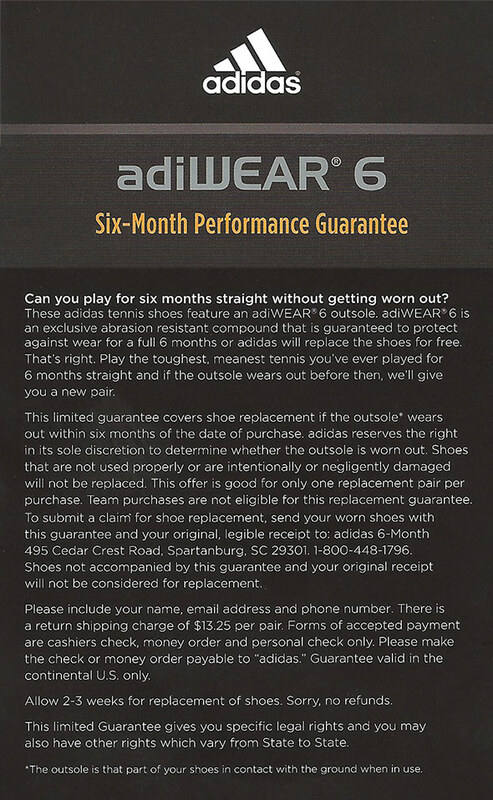 With gel cushioning that cradles your feet and a 6-month outsole durability guarantee, it’s hard to find a better buy. This shoe has been redesigned to offer more support for your midsole, earning the American Podiatric Medical Association (APMA) Seal of Acceptance. That’s rare in the world of court shoes! 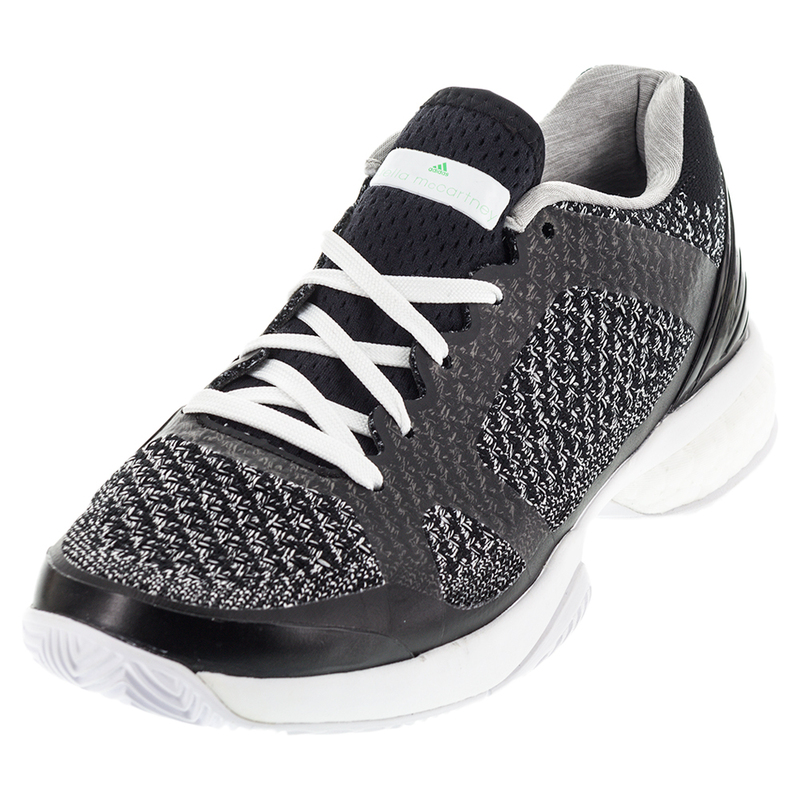 Prince is a company solely focused on Tennis Specialty products, so you know these shoes are designed specifically for your needs on court.The Women’s Warrior Tennis Shoes are uniquely built court shoes that actually support your midfoot with a TPU Arch Bridge. It also features a Shock Eraser heel wedge to absorb impact. Arch support is rare in a court shoe, so snap these up fast if that’s important to you! 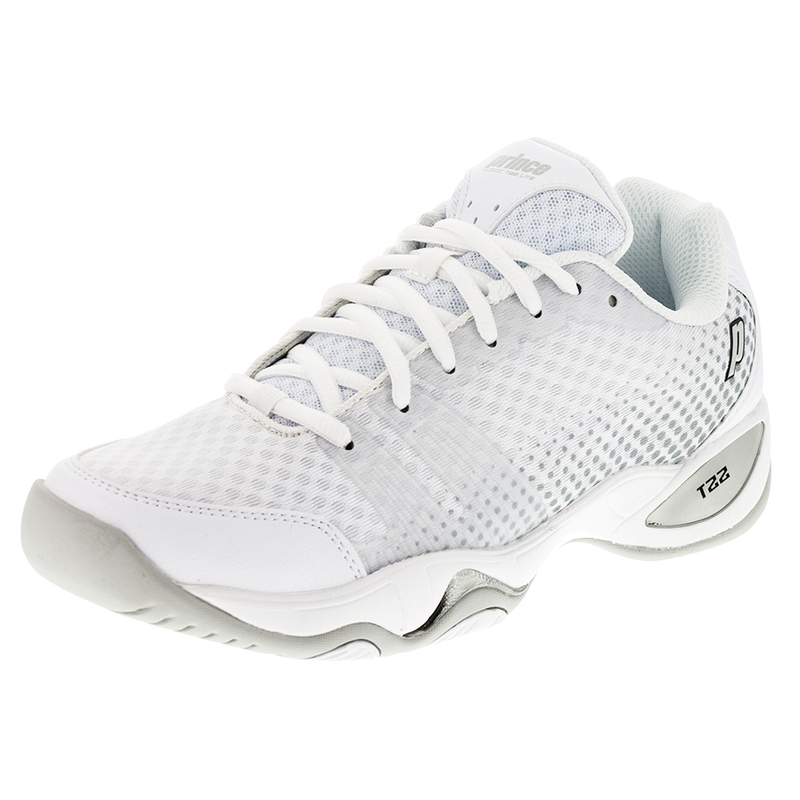 The T22 Lite Tennis Shoes are a staff favorite here at Tennis Express. Not only are these shoes comfortable, but they are maneuverable the first time you wear them. Even though the shoe is highly cushioned, they don’t feel clumsy or bulky on your feet. That’s a big win for any tennis court shoe! The lighter version is slightly more narrow than the regular T22, so keep that in mind if you have a slightly wider foot. I know that looks are the most important thing to most women when they pick out a new shoe to wear all season, but comfort is a close second! We’ve compiled a list of top durable, lightweight, and comfortable shoes, so that you can make an informed decision before buying your next pair!